I am a mechanical engineer ( vibration analysis) and an amature violonist. I think my hands are sticking out from the right place. I am nearing the retirement and think of learning how to build violins. Not for profit. I dreamed of this all my life but did not have an opportunity. I know there are luthier schools with a 3 year program in Chicago, Salt Lake City, etc., but I can not afford it neither financially nor time wise. I live in Austin, TX. What do you suggest on how to follow my dream? How do I get started? Of course, I am ready to spend some money ( may be a couple of gran) just to learn. I’ll really appreciate you advise. Also, when you said “I made a copy…”, what in particular did you mean? Dimensions? 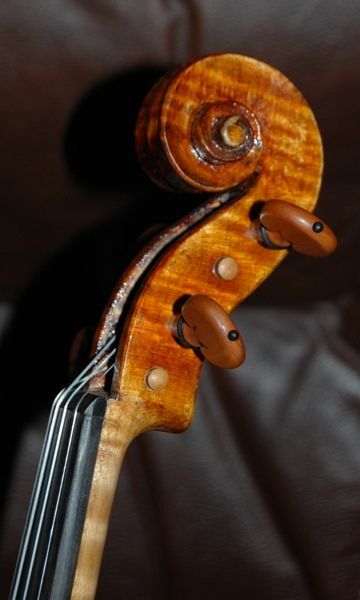 I thought all violin craftsmen are trying to copy that of Stradivary’s violins, it is relatively easy. Wood? Finish? I thought these are secrets which no one could have cracked so far. P.S. I have not read your site yet, but it sounds very interesting. I began with books– if you look on my bio page (“about”), I specify which books, and how I went about it. You are close, geographically, to a whole bunch of good violinmakers. I’d be happy to help you get in touch with some who could help you get started. On the other hand, since, as a mechanical engineer, you know how to follow instructions, and, if you are willing to just jump in and get your hands dirty, metaphorically speaking, I would recommend that you just go buy Henry Strobel’s book, “Violin Making, Step-by-Step” and follow his directions. There is a pattern included with the book, and you can make a very respectable fiddle on your first try. Thanks Chet for your swift reply. I’ll definitely purchase the book. However, it will still be helpful to see a “live” process, may be for duration of a month or two. So, I’ll really appreciate if you can put me in touch. As a vibration analyst I may bring to the table something that regular violin makers do not have. I mean determination of mode shapes and modal analysis of the major violin structural components. May be this will quantify the difference between great italians and everyone else. Frankly, likely someone already have done it before. I’ll see what I can do. Meanwhile here is a link that you may find helpful. Michael Darnton teaches violin making in S. california every summer, and has a shop in Chicago…but this photo essay is very well done, and may increase your confidence level. Yes, get the book, and see if momentum begins to build. Thanks Chet for the photo essay and everything else. This has taken a nice turn: Adam LaMotte, a Portland professional violinist, who plays in the Portland Baroque Orchestra, among others, and who, with the rest of the musical group “El Mundo” was nominated for a Grammy award, for the piece “The Kingdom of Castille”, has taken this violin for a test drive, and loved it. He volunteered to “play it in” for a few weeks, and currently, it is in his possession. I am eager to hear his overall response. Meanwhile he has showed it to his musician friends, and they loved it too. That is awfully good to hear. Adam is currently on tour in Hawaii with “El Mundo”, but I am looking forward to hearing from him when he gets back. 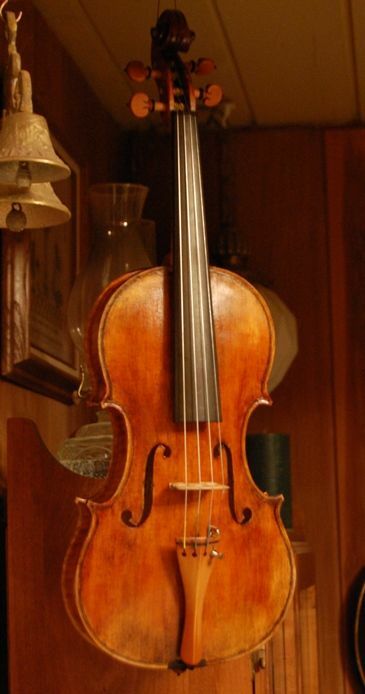 My first ever instrument was a violin, using Strobels books. A very good sounding instrument. Good instructions, good pictures. Inspired me to start dellaScala guitars-archtops are basically like big violins. I’d advise buying/making good tools and take a sharpening course if you don’t already know how to get a razor sharp edge. Time well spent. Good luck! You do not want to get used to using dull tools. Get used to using really sharp tools, and you will sense immediately when they are starting to dull.